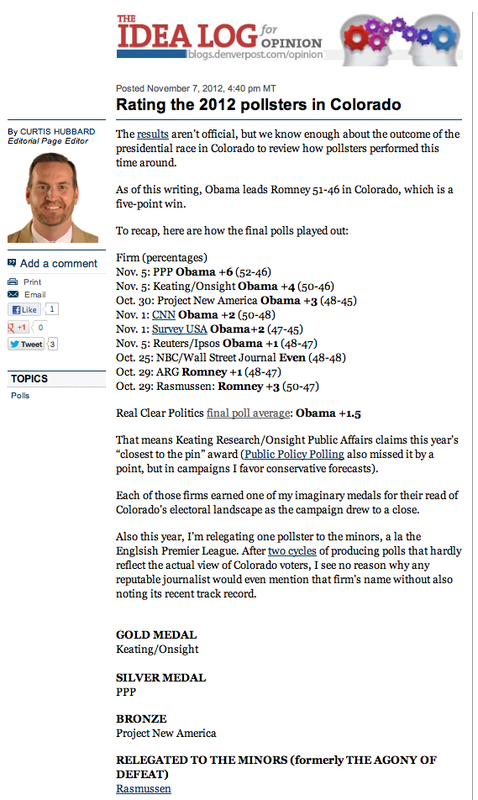 2012 Presidential Polling – Keating Research, Inc.
Obama-Romney: Which pollster made the best call in Colorado? 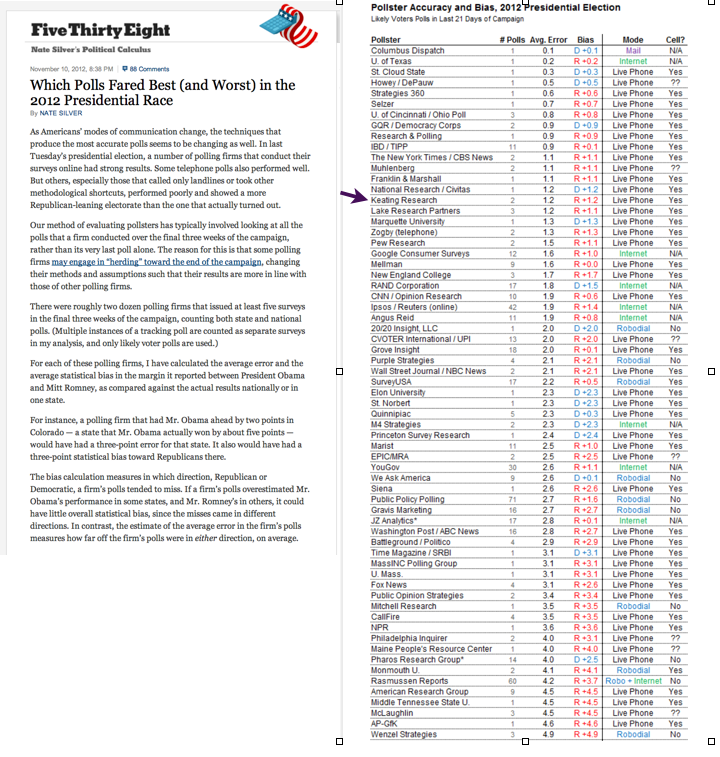 “…But at least I can share my scorecard of who came closest in Colorado to calling the result in polls conducted within a few weeks of the election. And it was a survey not included in the RealClearPolitics aggregation.